Do Insoles & Orthotics Work? 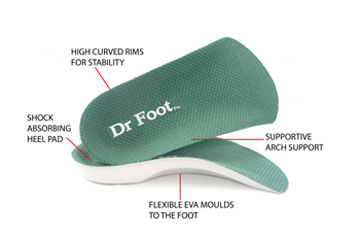 Over pronation sufferers find extra support in Dr Foot Pro Insoles. Dr Foot Pro work wonders on problem-prone feet. 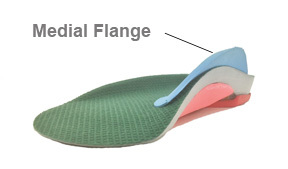 They are biomechanically engineered to help relieve over pronation. The contoured shape supports your feet in two directions, both lengthwise and across the arch, for maximum relief of pain and fatigue. They help reduce stress at key weight points, keep each foot properly aligned and cradle and stabilize your heels. A strategically placed heel insert made of Poron foam absorbs the pounding foot shock of each step. 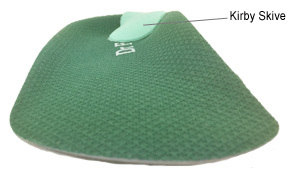 Dr Foot Pro 3/4 length insoles provide the support you need to insure immediate relief from over pronation.